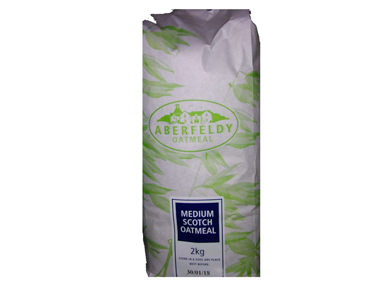 Buy Aberfeldy Scottish Medium Oatmeal 2kg in the UK from our online shop or directly from our independent Scottish store. Aberfeldy oatmeal (Medium) is ideal for making porridge. Medium Oatmeal is ideal for making porridge. It's smaller granular texture can be used to coat fish before frying, also used for steaks and diced beef before cooking. Where can you buy real Medium Oatmeal 2kg safely online? If you are wondering where you can buy Aberfeldy Scottish Medium Oatmeal 2kg safely online in the UK, then shop with us. Medium Oatmeal 2kg - Aberfeldy Scottish Medium Oatmeal 2kg in Oat Products and Rice, Grains & Oats.